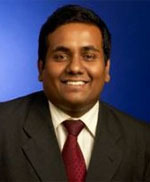 Parakum Pathirana holds a M.Sc. in Internet Engineering from the University of East London, United Kingdom. He is also a fellow member of the British Computer Society (FMBCS). He is a Certified Information Systems Auditor (CISA), a Certified Information Security Manager (CISM), Certified in the Governance of Enterprise Information Technology (CGEIT), a Certified Information Systems Security Professional (CISSP), an ISO 27001 LA and also possess the Certificate of Cloud Security Knowledge (CCSK). He is currently working as the Head of IT Security & Compliance for Lanka ORIX Information Technology Services and also functions as a Principal Consultant for LOLC Technologies Limited. Further, Parakum serves on the board of the Sri Lankan ISACA chapter as the President and a founding member of the local ISC2 chapter. Parakum is the Assistant Treasurer at the Computer Society of Sri Lanka and an Executive council member at the Federation of Information Technology Industry Sri Lanka. His current research explores the links between social media and the financial sector. Parakum has authored and presented number of research papers on both local and international journals/ conferences and he is a regular speaker at local information Security events. Prior to joining Lanka ORIX IT Services, Parakum was heading the Information Protection and Business Resilience practice of KPMG in Sri Lanka. During this period, he also worked for the KPMG LLP in the United Kingdom in the capacity of an Assistant Manager and was also involved in offshore assignments in Maldives and Pakistan.